A new global research study from PwC found that 84 per cent of execu­tives reported that block­chain initiatives were under way. The study, entitled ‘Blockchain is here. What’s your next move?’ surveyed 600 executives in 15 countries on their development of blockchain and views onits potential. As blockchain rewires business and commerce, the re­search provides one of the clearest signals yet of organisations’ fear of being left behind as blockchain developments accele­rate globally, opening up opportunities including reduced cost, greater speed and more transparency and traceability. A quarter of executives report a blockchain implementation pilot in progress (10 per cent) or fully live (15 per cent). Almost a third (32 per cent) have projects in development and a fifth (20 per cent) are in research mode. The US (29 per cent), China (18 per cent), Australia (seven per cent) are perceived as the most advanced currently in developing blockchain projects. However, within three to five years, respondents believe China will have overtaken the US (30 per cent), shifting the early centre of influence and activity from the US and Europe. The survey reflects the early dominance of financial services developments in blockchain, with 46 per cent identifying it as the leading sector currently and 41 per cent in the near term (three to five years). Sectors identified by respondents with emerging potential within three to five years include energy and utilities (14 per cent), healthcare (14 per cent) and industrial manufacturing (12 per cent). “What business executives tell us is that no-one wants to be left behind by blockchain, even if at this early stage of its development, concerns on trust and regu­lation remain,” said Steve Davies, Blockchain Leader, PwC. Blockchain’s biggest benefits will be developed and delivered through shared industry-wide platforms. But the study notes that this won’t happen without industry-specific companies – including competitors – agreeing common standards and operating together. Despite the technology’s potential, respondents identified trust as one of the biggest blockers to blockchain’s adoption. Forty-five per cent identified it as blocker to blockchain adoption: 48 per cent believe it is regulatory uncertainty. Concern about trust among users is highest in Singapore (37 per cent); UAE (34 per cent) and Hong Kong (35 per cent), reflecting in part the domi­nance of financial services in blockchain development. Concern about regulatory uncertainty was highest in Germany (38 per cent); Australia (37 per cent) and the UK (32 per cent). “Blockchain by its very definition should engender trust. But in reality, companies confront trust issue at nearly every turn. Failing to state a clear business case from the outset leads to projects stalling,” added Mr Davies. “Businesses needs to put more effort on building into their design how they can tackle trust and regulatory concerns. One in three of those respondents who reported little or no involvement with blockchain cited the reason for a lack of progress as cost (31 per cent), uncertainty over where to start (24 per cent) and governance issues (14 per cent). • Make the business case: organisations can start small, but need to set out clearly the purpose of the initiative so other participants can identify and align around it. • Build an ecosystem: Participants should come together from different companies in an industry to work on a common set of rules to govern blockchains. Of the 15 per cent of survey respondents who already have live applications, 88 per cent were either leaders or active members of a blockchain consortium. • Design deliberately around what users can see and do: Partners need rules and standards for access permissions. Involving risk professionals including legal, compliance and cybersecurity from the start will ensure blockchain frameworks that regu­lators and users can trust. 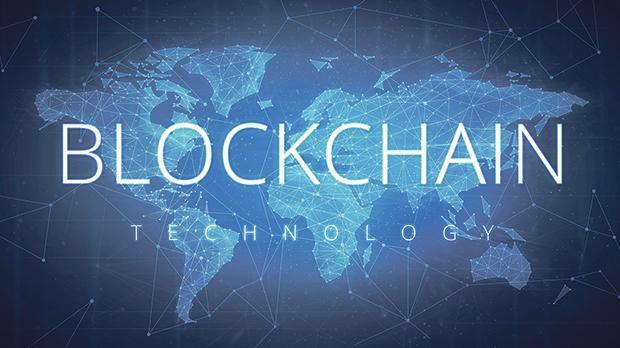 • Navigate regulatory uncertainty: The study warns that blockchain developers should watch but not wait as regulatory requirements will evolve over the coming years. It’s vital to engage with regulators to help shape how the environment evolves. George Sammut, a partner at PwC Malta, added that the survey is well timed in the Malta context in that it gives a very recent pers­pective on various facets of the ap­plied use of blockchain beyond Initial Coin Offerings. It sheds light on challenges and uncertainties faced by organisations that are in­ves­ting in solutions built on Dis­tri­buted Ledger Technologies (DLTs). It is interesting to see that the survey quotes the primary concern (48 per cent) is regulatory uncertainty. The new legislation in Malta for the regulation of innovative technologies, starting with DLTs and smart contracts, starts to address this number one concern. The survey shows a large proportion of respondents have active projects, many of which are experimental; but the key messages are consistent with the PwC ap­proach to dealing with new technologies, regulations or markets: have a clear strategy; do not limit yourself to traditional ways of working; and start small and then scale out. The study examined the views of 600 executives in the following 15 countries: Australia, China, Denmark, France, Germany, Hong Kong, India, Italy, Japan, Netherlands, Singapore, Sweden, the UAE, the UK, and the US.